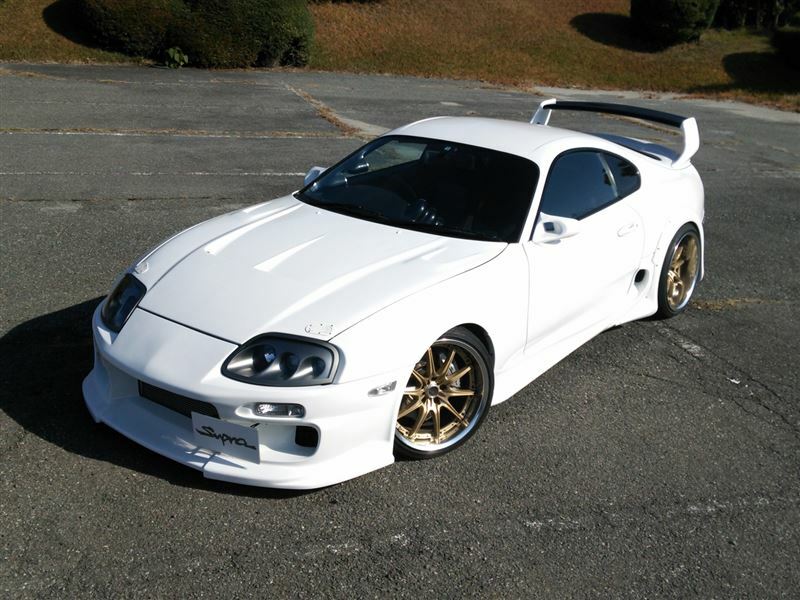 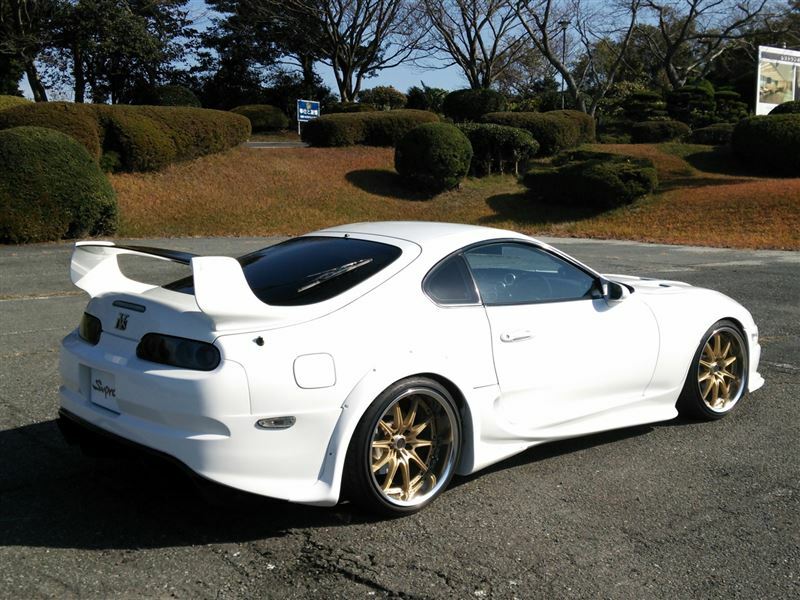 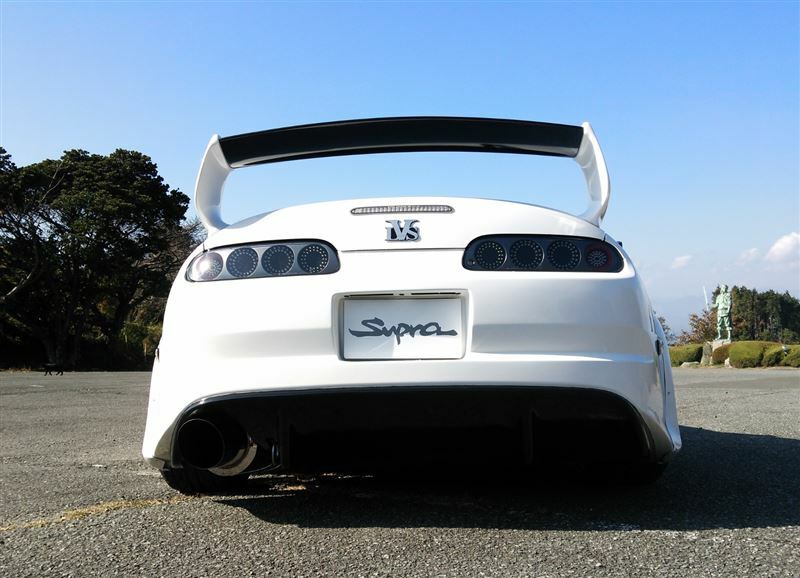 This Supra has an infusion of Do-Luck, TRD, and Veilside parts that surprisingly works very well. 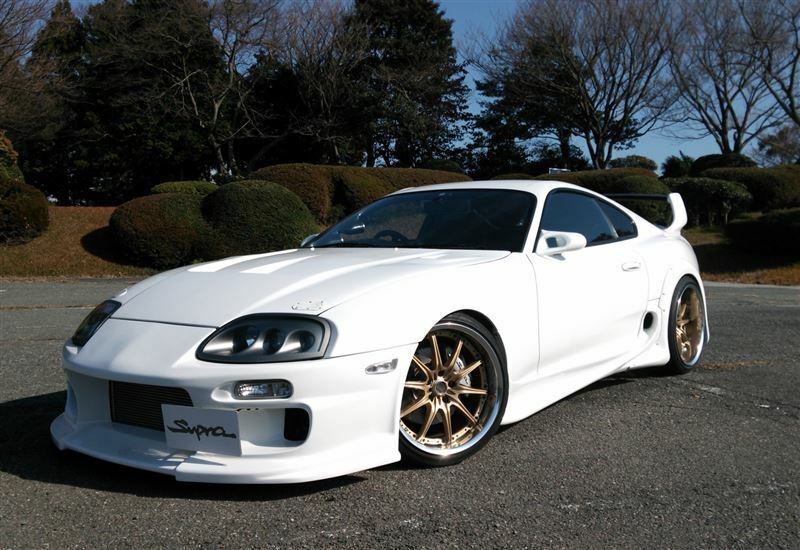 Definitely one of the cleanest examples I’ve seen! 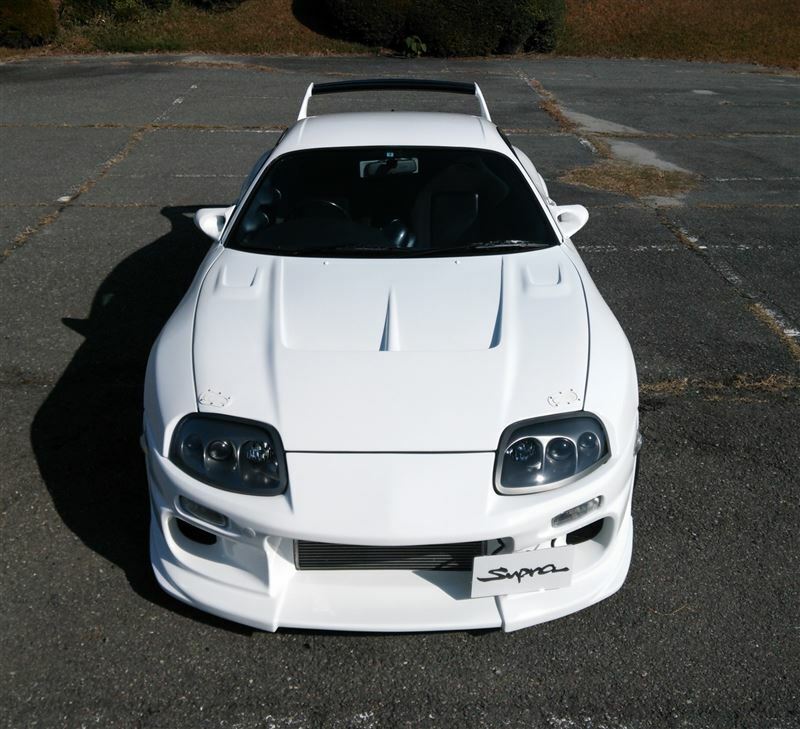 Border Racing hood, TRD wing, and Do-Luck front. 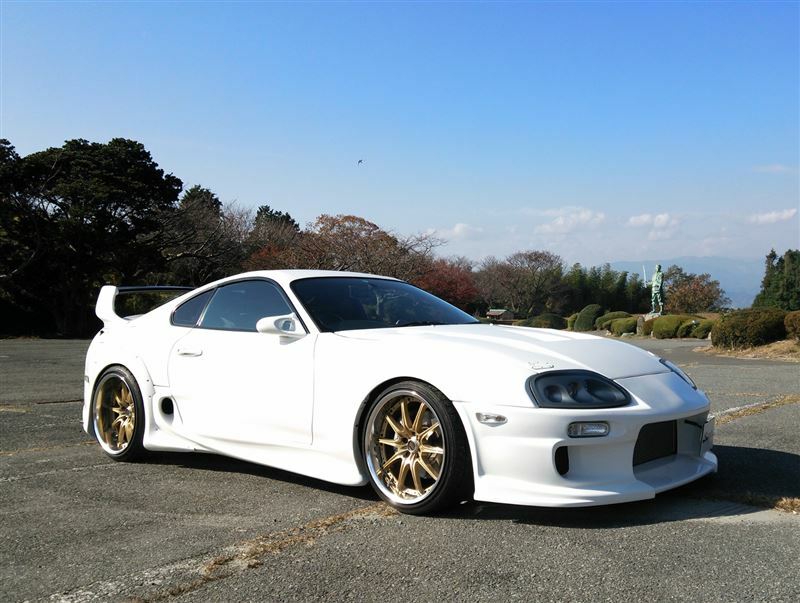 Love the gold Volk Racing GT-F on the white body color.